Let super cycling coach, and the first North American to don the yellow jersey take you for a ride. 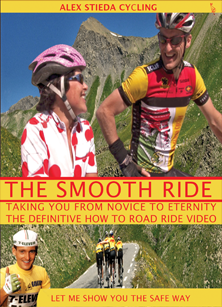 The Smooth Ride DVD: Go from a beginner to a confident road cyclist – cycle with Alex Stieda through the French Alps, Lake Como, Italy, Napa, California and the Canadian Rockies. Visit The Smooth Ride for more information.